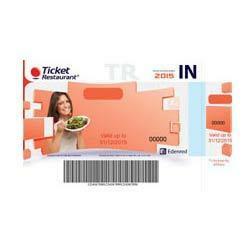 Meal Vouchers are a perfect key to motivate and create loyalty among employees or customers by the corporate sectors. With our meal vouchers companies can engage and retain their employees and customers as it is one of the best work life benefit solution present in market. Freecharge Vouchers/e-codes allows you to recharge your prepaid and pay your post-paid bills for Mobile /DTH/Data Cards in india. - An easy and instant recharging process. - A hassle-free online experience. - A safe and secure payment processBest discounts available in the market. - Coupon delivery with no delay. How good would that be if you get your food bills reimbursed while you are on a holiday This product brings more joy to your holiday and offers reimbursement of your food bills after you come back from a holiday. An amazing tool of sales incitement if, clubbed with Free Holiday Voucher. human resource is the most important asset for any organisation. Companies, who show a genuine concern for their employees' welfare, reap enormous benefits in loyalty motivation and productivity. Ticket Restaurant® Meal Vouchers are great to motivate and create loyalty among employees who value the fact that the employer cares about their welfare, contributing to a better employer-employee relationship. This social benefit, implemented specifically to protect the welfare of the worker and his family in the form of tax savings. The corporate Meal vouchers are best tool to motivate employees and encourage them to perform better with an aim to get more productivity from the organization in terms of sales and work.